Kṛṣṇacandra Dāsa – Śrī Vṛndāvan Dham: The GBC has recently instituted another level of bureaucracy into their already top heavy bureaucratic managerial structure. The position of Executive Director has been created and Tamohara Dāsa has been appointed as the very first Executive Director of ISKCON in the “Bureaucracy gone wild” GBC. 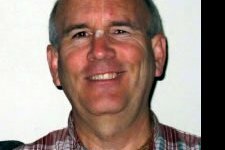 This latest move on the part of the GBC has been in play for many years now with the inclusion of the Businessman Greg Stein AKA Gopala Bhatta, who has been working closely with the GBC to create a middle management stratum to manage/control the gap between the Temple devotees/congregational members and the GBC. The GBC has, since the early days of their ‘takeover’ of Śrīla Prabhupāda’s ISKCON, sought to go against everything that Śrīla Prabhupāda instructed us to do with his ISKCON society. Śrīla Prabhupāda absolutely did not want to see his ISKCON society become a bureaucratic corporation with devotees getting salaries / pension plans / interest free loans to admin officers [not available to the rank and file devotee] and other corporate perks. The GBC in their defiant arrogance completely and utterly disregarded Śrīla Prabhupāda’s instructions and are forging ahead and creating a top heavy bureaucracy for ISCON. Do not think in this way of big corporation, big credits, centralization–these are all nonsense proposals. Only thing I wanted was that books printing and distribution should be centralized, therefore I appointed you and Bali Mardan to do it. Otherwise, management, everything, should be done locally by local men. Accounts must be kept, things must be in order and lawfully done, but that should be each temple’s concern, not yours. Krishna Consciousness Movement is for training men to be independently thoughtful and competent in all types of departments of knowledge and action, not for making bureaucracy. Once there is bureaucracy the whole thing will be spoiled. Following is the GBC’s ‘Press Statement’ / Announcement on ISKCON News. The appointment of an Executive Director does not mean that all ISKCON needs is a middle level Executive position to coordinate the society at a Temple / Project level to make sure that the Temple and Congregation devotees are being ‘managed’ properly. For with it, will come a substratum of directorates with salaried positions and designated duties and responsibilities etc. Already in so many Temples, farms and projects, devotees are being paid wages or salaries for doing service which should be voluntary. The change from a society of volunteers to a waged/salaried workforce is another change the GBC has brought into ISKCON which has at it roots defiance against the order and teaching of Śrīla Prabhupāda. Śrīla Prabhupāda requested doing pure devotional service inside our ISKCON society, which means sevā or voluntary service, whereas the GBC and Gurus advocate mixed devotional service which means it is no longer sevā but work and if one works then one gets a salary and if one gets a salary they are easier to be coerced and controlled. The voluntary missionary preacher or Brahman is quickly becoming a thing of the past under the auspices of this errant GBC who are rapidly modernizing and converting our Vaiṣṇava Brahman Institution into a cheating religion which is now a corporate business staffed by salaried administrative employees. The new face of our great Gauīya Vaiṣṇava Tradition of Sadhus in the line of Lord Śrī Kṛṣṇa Caitanya Mahāprabhu is the Administrative Officer rather than the Missionary Preacher. The Executive Director being ‘accountable’ to the very GBC that the position is supposed to hold accountable is farcical to say the least. The GBC has proven beyond doubt that it is not accountable to anyone, Śrīla Prabhupāda or God Himself, so how is it possible for a junior Executive position filled by a junior Prabhupāda disciple to ever expect to hold any GBC man what to speak of the whole GBC body accountable? This statement of the position’s powers and responsibilities says that the position is only bureaucratic and has no real role to play in accountability, and its powers, should there be any, lie in the various departments under its jurisdiction. Unanimous…? This means nothing in the FISKCON institution. To the rank and file devotees who have no faith or trust in the GBC, the opinion of any individual member of the GBC has no meaning and collectively it still amounts to ZERO. The statement made by the photograph provided is that the very first devotee who fills this position is a Southeastern Country Boy by the fact that he is wearing a western style karmi shirt and the only thing defining him as a devotee is some worn out tilak. This says a lot for the value that the GBC’s place on Śrīla Prabhupāda’s ISKCON and the Vaiṣṇava dress of an ISKCON devotee. It is not that they oversee anything it is that they control everything. Being proactive does not mean to increase bureaucratic procedure by increasing infrastructure, laws and enforcement, it means increasing ones purity and loyalty to Śrīla Prabhupāda. Proactive does not mean to increase rules and regulations to charge and prosecute devotees who speak out against corporatizing our ISKCON society and our corrupted/criminal leaders. Taking action, the GBC, headed by businessman Gopal Bhatta Dasa, began five years ago to hold week-long Strategic Planning Meetings every October in Mumbai, as well as its regular February meetings in Mayapur. 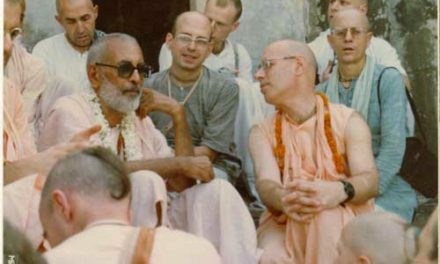 To help with the process, other talented devotees outside of the GBC were brought in, with as many as 75 to 100 people attending some meetings. Gopala Bhatta is a businessman? What is his spiritual standard that gives him the authority to make any infrastructural or organizational changes to our Gauīya Vaiṣṇava Society? High spiritual standard and realization is what is needed in our society not businessmen who lead debauched lifestyles. Expansion means adherence to Śrīla Prabhupāda’s vision for his society which means we expand spiritually not bureaucratically. To take care of devotees means to help them increase their Kṛṣṇa consciousness not use them as resources to gain monetary advantage, fame, admiration and worship. All the rules, laws, judicial process is there for whom? For the corrupt leaders or for the ones who chose to support Śrīla Prabhupāda? You will find when they get their act together they will start to legislate and prosecute devotees who speak out against them and expose them. If they are well intentioned then we shall see most of the leaders themselves being investigated, charged, rebuked and punished under these new laws and so called legislative changes. However, this new management infrastructure is not for them it is to control the rank and file devotee to ensure complete allegiance to the GBC and the Gurus of FISKCON. So now we will have the impersonal multilevel counseling system which is the brainchild of Radhanath Swami which has nothing whatsoever to do with Vaisnavaism and our Vaiṣṇava culture and it more to do with impersonal corporate conditioning or normalizing process than seeking to care for a devotee’s spiritual growth and development with love, compassion, real honest relationships and spiritual / emotional maturity. I wonder if this will have anything to do with Radhanath’s web sevā program which is only there to make sure the truth about his criminality and charlatanism is kept way back on the Google ‘hits’ so that the innocent will have sift through pages upon pages of his websites filled with lies and deceit to gain the truth of the little mans fraud and criminality. This will take the “Formula Franchised Guru Business” to another level with creating formulas for all the projects which include in time financial centralizations of the ‘profit’ to help pay for salaries, growth and development of the ISKCON corporation. Once the GBC and Gurus have a centralized Database of human resources, it will greatly increase their fund raising and propaganda programs. Leaving aside Kuladri Dāsa, this department will greatly smooth line the above departments to better enable the leaders of ISKCON both GBC and Gurus to establish their independent Franchises in their own name while maintaining their bona fides from ISKCON. 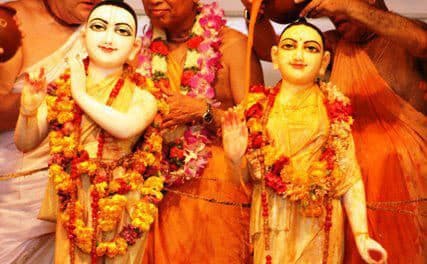 For example Radhanatha Swami, Sivarama Swami, Indradyumna Swami and Devamrita Swami are able to operate mainly under their own private organizations while maintaining their institutional link with ISKCON’s resources, data bases, Temples and congregations etc. As we see these people gaining more power and Śrīla Prabhupāda’s ISKCON being submerged into history we will see independent corporations splintering from ‘mother ISKCON’ and rising in prominence, such as the various projects under the name of “Bhaktivedanata” which seems to be the ‘brand name’ of Radhanatha Swami’s personal projects or Devamrta Swami’s “Lofts” etc. The main regulatory function would be to make sure that no one else but the Gurus and devotees that work for the institution can get in on any of the spinoff businesses that can be generated by the various Formula Franchises, Guru businesses or the various Temples, “Preaching” programs that a “made man” or institutional man can establish. Already they are getting devotees to sign confidentiality clauses which stop devotees from reporting any wrongdoing or criminal activity at the risk of losing their positions. This will ‘lock’ devotees into conforming to the rules and regulations of the ISKCON institution and ‘officially’ turning a blind eye to the dirty dealings of these people. Yes this is a huge job. Śrīla Prabhupāda’s system was self efficient meaning so long as the Temples Presidents were following Śrīla Prabhupāda’s instructions and the leaders following the programs, chanting and arranging for his books to be distributed, the GBC and Sannyasis making sure that the spiritual standards were being not only maintained but increasing and they were law abiding, then everything should be running smoothly. However, there is so much ambitious corporate ladder climbing, law breaking, the leaders aren’t following the program and not chanting and the devotees are unhappy and uncared for; then what do they expect? Communication is certainly a real problem. 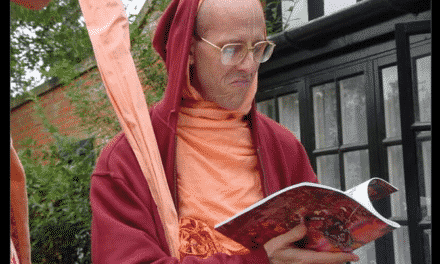 The GBC Gurus and other ISKCON officials have never been good communicators because they are corrupt to the bitter core and so they have been very careful that the rank and file devotees can never know the full extent of their treachery. This however, can be easily solved by bringing back the system that Śrīla Prabhupāda established of having the Temple Presidents meetings in Māyāpura. This ensures that all TP’s are not only well informed on the happenings in on the international level they are also part of the decision making. The GBC stopped these meetings soon after Śrīla Prabhupāda entered into Samādhi and the communication broke down making it easier for them to make the changes they wanted without being questioned by the Temple Presidents. The system that Śrīla Prabhupāda established is the perfect system for our society but the GBC will never use it for they have other plans. The GBC can make the GBC meetings more public and therefore they will be more transparent. However, the public get versions of the AGMs and other meetings that are edited with extreme prejudice and are therefore meaningless. Wouldn’t it be wonderful if this CRD or Community Relations Division actually told the truth? All this will ever be is a propaganda machine meant to dumb down the rank and file devotee. Tamohara knows very well the problems and issues that face our international devotional community, the only thing is that he is not willing to speak up for us. By ‘us’ I mean those who want the GBC to go back to Śrīla Prabhupāda’s ISKCON and do away with all these bureaucratic directorates with salaried administrative officers and have some faith in the time honored process that Śrīla Prabhupāda has given us. How does Tamohara and his corporate jockeys intend to address our problems and issues? The truth is they will never face us for they know very well that they don’t have a leg to stand on. As Kali chelas they have cut the last leg of Dharma which is truthfulness and so they cannot accept the truth in any shape or form. We already have a constitution why do we need another? Śrīla Prabhupāda has a prominent position all they want to do is make sure that it is a prominent śikṣā position that will soon be forgotten as the new age gurus take his place, write more books and preach this new age mumbo jumbo and turn ISKCON into a money making business. More middle management positions means more bureaucratic administrative positions, meaning more salaried positions that will not do anything constructive for our international society but only create bureaucratic nightmares for us all. Śrīla Prabhupāda’s system will easily be able to handle the situation of expansion. The fact is that the GBC has never given it a go as they have been hell bent on destroying Śrīla Prabhupāda’s system since they seized control of his ISKCON society. If the GBC were not also Formula Franchised Gurus they would have ample time to care for the devotees in their sectors. The GBC has been widely known for either being too involved by controlling the Temples too much or in most cases they have been known to hardly lift a finger to help or oversee anything in the many Temples under their supposed control. All this is about is creating more GBC positions in order to expand their control and create a corporate ladder climbing momentum for ambitious devotees. How will creating bureaucratic paid positions help in spreading Kṛṣṇa consciousness? How will this be pleasing to Śrīla Prabhupāda when he told us not to do this? There is no illusion in this man. He is clearly aware that Śrīla Prabhupāda did not want him or anyone going running around creating more and more administrative positions. Śrīla Prabhupāda wanted missionary preachers to go out and distribute his books. His realization is mundane, his motives are simply to create a corporate bureaucracy so what value is there for anyone cooperating with him and the GBC unless they are interested in getting a job in ISKCON? Increasing knowledge and awareness of the GBC will be to expose the corruption inherent in the system and in them as individuals and finally their utter betrayal of His Divine Grace AC Bhaktivedanta Swami Prabhupāda. Where will the finances come from to fund all of this expansion and growth? Who will pay for offices and equipment, salaries and benefits etc? This has to be taken into consideration and it is not mentioned herein. Any devotee who believes that the GBC have failed Śrīla Prabhupāda and our Vaiṣṇava society by superimposing their own mundane corporate system over Śrīl a Prabhupāda’s will never be listened to, so there is no real value in making statements such as these to Śrīla Prabhupāda Loyalists. To them we are not members of ISKCON therefore their plans do not include us and these changes are for the subservient disciples and followers of the Formula Franchised Gurus of FISKCON only. He reiterates the point from the beginning of this article, knowing full well that it is not possible that Tamohara can make sure that the GBC body and individual GBC members are accountable when the position he holds is itself answerable to the GBC Body? This displays that the most prominently stated role of this position is nothing but a red herring and insult to our intelligence, for the role has no real power only advertised power which is nothing but propaganda. This is the same logic as the ex Gurukula Principals setting up accountability departments such as the International CPO with internal CPT units, as well as going on to run the ISKCON Ministry for Educational Development and ISKCON Resolve. How is this fair accountability? Which is made especially stark, when not one of the leaders have been fairly investigated and found guilty and received appropriate punishment for any of their crimes? 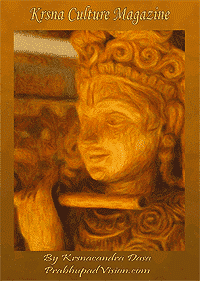 In the days of yore the Brahmans would prove their purity by fire yajña. Let the GBC prove their truthfulness and sincerity to serve Śrīla Prabhupāda by applying the same ISKCON laws that they intend to use against the rank and file devotee to first begin charging, prosecuting and banning the leaders who are criminally active. 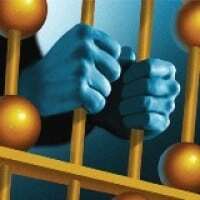 By criminal it is meant sastrically deviated as well as criminal according to the legal justice system. Until then they are nothing but lying cheating criminals who should be rejected and rebuked by the intelligent rank and file devotee. So what is the point in making such a closing statement when the opening statement clearly shows he has no power to make the GBC accountable at any level? This whole exercise is simply to let us know that they are launching a new buffering level to protect the GBC and Guru Franchises while simultaneously creating more corporate infrastructure to turn our Vaiṣṇava Sādhu organization into a mundane corporation.